In 2009, an unknown person using the alias Satoshi Nakamoto created the bitcoin currency. A bitcoin transaction requires no banks, no middle men and no fees. There is also no need to give your real name, which makes it an attractive alternative for collecting untraceable money. Merchants are slowly accepting bitcoins because international payments are easy and cheap. Bitcoins are not tied to any country or subject to regulation. The popularity of bitcoins has led to some major developments, some of which would make you uncertain of whether this cryptocurrency is going to stay. I’m sharing below the most recent development of bitcoin. Writer Arjun Kharpal of CNBC wrote an informative piece on split of bitcoin. The price of bitcoin took a hit after the cryptocurrency underwent another split, with the newly-created bitcoin gold seeing its value plunge over 60 percent. Bitcoin hit a low of $5,374.60 on Wednesday before recovering nearly $300. 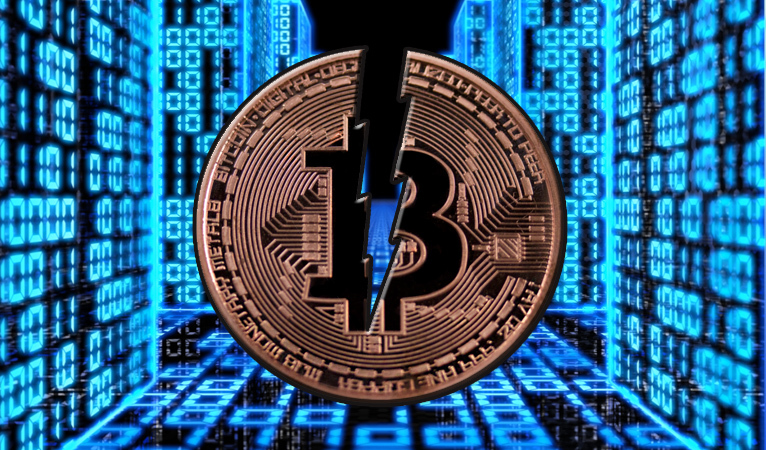 The initial fall followed the “hard fork” that occurred Tuesday. CNBC runs through what you need to know about the big event. What is the ‘hard fork’ about? Firstly, it’s important to understand how the bitcoin system works. Transactions by users are gathered into “blocks” that are turned into a complex math solution. So-called miners, using high-powered computers, work these solutions out to determine if the transaction is possible. Once other miners also check the puzzle is correct, the transactions are approved and the miners are rewarded in bitcoin. The need for high-end machinery has meant that mining is controlled by a small group of people with powerful computers. Jack Liao, the CEO of LightningASIC, which sells mining equipment, came up with bitcoin gold as a way to change this dynamic. The idea is to allow bitcoin gold to be mined by more people with less powerful machines, therefore decentralizing the network further and opening it up to a wider user base. To this end, the collective behind bitcoin gold came up with a code that creates a “fork” or split in the bitcoin blockchain. That occurred on October 24 and resulted in the creation of the bitcoin gold cryptocurrency. Hasn’t a fork happened before? Yes. In July, bitcoin underwent a similar fork that led to the creation of bitcoin cash. There was an initial surge in price, and it hit an all-time high of $914.45, but has fallen steadily, according to data from Coinmarketcap.com. On Wednesday, bitcoin cash was trading just above $330. Bitcoin cash’s market capitalization — the total value of the cryptocurrency in circulation — is just over $5.5 billion, compared to more than $93 billion for bitcoin. Everyone who owns bitcoin will receive bitcoin gold. This is being issued at the rate of 1 bitcoin gold to bitcoin. Since bitcoin gold was issued, its price has plunged over 66 percent, trading at just over $161 per coin, according to Coinmarketcap data. It appears the sell-off was due to investors dumping the cryptocurrency, perhaps signaling a lack of faith in the newly-created coin. Bitcoin also fell sharply Wednesday before recovering and other cryptocurrencies like ethereum took a hit too. Bitcoin gold has faced teething problems in the few hours it has been around. The website for the new cryptocurrency suffered a distributed denial-of-service attack, which is when a server is overloaded with requests. And many major cryptocurrency exchanges have not begun trading in bitcoin gold yet. There are differences of opinions within the bitcoin industry as to whether a fork is good or bad. “These forks are very bad for bitcoin. Saturating the market with different versions of bitcoin is confusing to users, and discredits the claim that there are a limited number of bitcoins — since you can always fork it and double the supply,” Sol Lederer, blockchain director at Loomia, said in an emailed statement Tuesday. But some have said forks are a good part of any cryptocurrency ecosystem. “If a crypto-community has irreconcilable differences, then you can go your separate ways and that is just fine,” Bob Summerwill, chief blockchain developer at Sweetbridge, a company creating blockchain solutions, said in a statement Tuesday.